13,000 years ago, North America was inhabited by the Clovis culture, a mysterious group of Paleo-Indians once thought to be the earliest to settle the continent. Evidence of their presence, mostly in the form of their distinctive, “fluted” spearpoints found alongside extinct megafauna, have helped scientists decipher scattered pieces of their story, although a number of questions remain about their origins, and arrival on the continent. Perhaps nothing about the Clovis culture, however, intrigues archaeologists more than what caused them to seemingly vanish around 12,800 years ago. Coinciding with the disappearance of the Clovis culture had been a period of severe climate cooling known as the Younger Dryas. During this period, megafauna that populated the continent were also wiped out, leading to a number of competing theories about what might have occurred during this period in North American prehistory that led to such cataclysmic change. 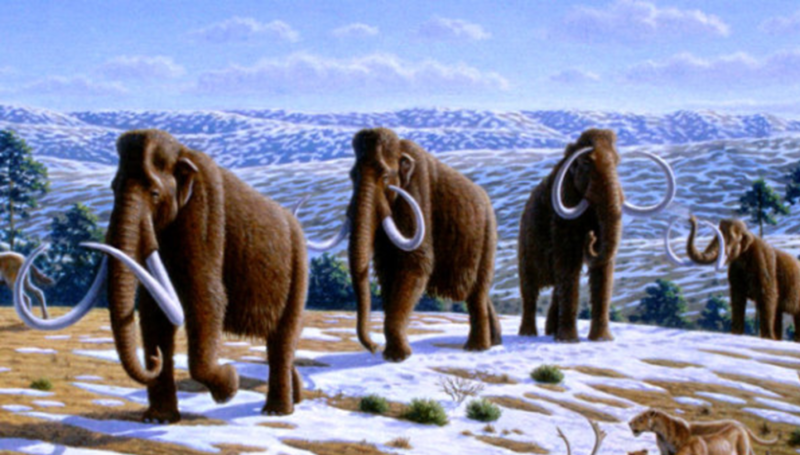 Megafauna in North America became extinct coinciding with the Younger Dryas. Among the various theories is the controversial notion that a massive cosmic impact occurred during this period. Though the theory has been widely disputed among scientists, a recent paper appearing in Nature offers new evidence which may be among the best to-date that suggests an impact with a comet or other space object might have occurred. The paper, “Widespread platinum anomaly documented at the Younger Dryas onset in North American sedimentary sequences,” argues that deposits showing heightened concentrations of rare-earth elements have been documented at the Younger Dryas boundary, dating back to roughly 12,800 years BP. Successive tests revealed what appears to have been a high concentration of platinum at the boundary, implying that the element, rarely found on earth, might have resulted from an extraterrestrial impact (platinum and other similar elements, while uncommon on Earth, are more abundant in asteroids). The new findings represent one step in a succession of similar discoveries, and controversies, that have spanned the last decade. Beginning in 2007, nuclear chemist Richard Firestone, Ph.D., of the Lawrence Berkeley National Laboratory, led a group of researchers that began to champion the case for an extraterrestrial impact that caused the Younger Dryas. This interpretation was based largely upon a “black mat” layer of carbon rich soil, first discovered by C. Vance Haynes of the University of Arizona in 1966. Found directly above the Clovis stratum, this dark layer of earth represents what some interpret as a layer of “swamp soil”, likely algal in origin, deposited over the course of the millennium that followed. Firestone and his team tested a distinctive layer of the black mat found at Rio Salado, Chile, which yielded high levels of iridium; along with the iridium discovery were titanomagnetic grains, as well as magnetic spherules, all which seemed to suggest that something along the lines of a massive, cosmic collision had occurred. The “black mat” layer, as it appears at the Murray Springs Clovis site, in southern Arizona near the San Pedro River. 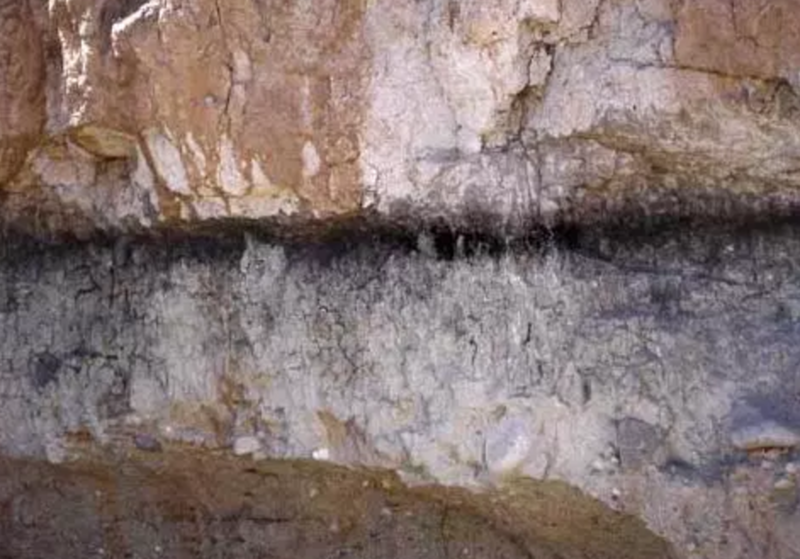 The conclusion was disputed by, among others, Jeff Pigati, a geologist at the U.S. Geological Survey who believed that the rare earth elements found in the black mat layer were based on concentrations of elements from terrestrial sources. This further suggested that such concentrations might be a natural feature of inherent to wetlands environments, findings which Pigati and his colleagues published in the journal Proceedings of the National Academy of Sciences in 2012. We document discovery of a distinct (platinum) anomaly spread widely across North America and dating to the Younger Dryas onset. The apparent synchroneity of this widespread (Younger Dryas boundary platinum) anomaly is consistent with Greenland Ice Sheet Project 2 data that indicated atmospheric input of platinum-rich dust. We expect the (platinum) anomaly to serve as a widely-distributed time marker horizon (datum) for identification and correlation of the onset of the (Younger Dryas) climatic episode at 12,800 Cal B.P. This (platinum) datum will facilitate the dating and correlating of archaeological, paleontological, and paleoenvironmental data between sequences, especially those with limited age control. 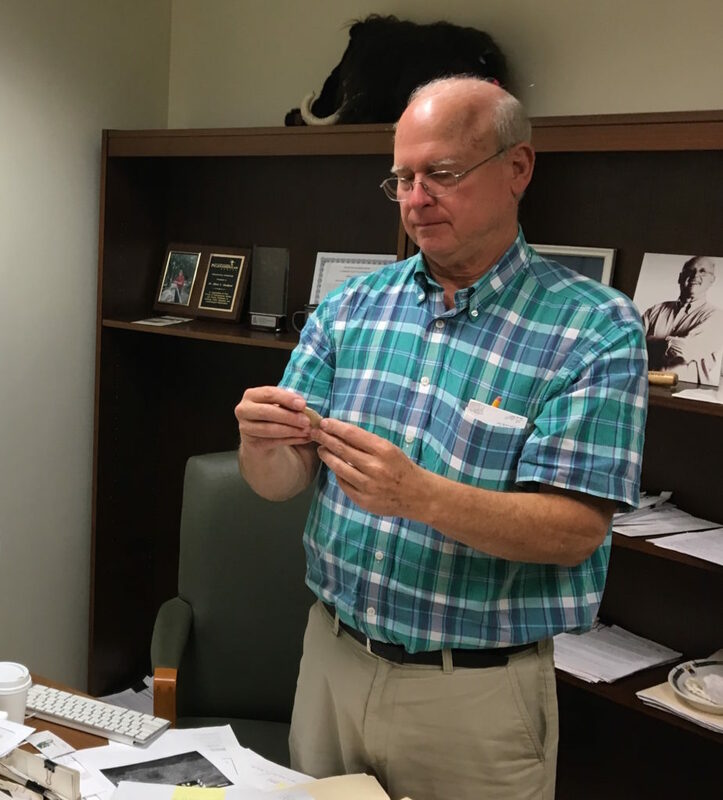 Albert Goodyear, Ph.D, one of the authors of the study, examines a lithic sample in his office at the University of South Carolina at Columbia (photo by the author). As the paper argues, the platinum was reported abundantly in a variety of locations across the North American continent, at which the geological stratum was consistent with the 12,800 year Younger Dryas boundary. Furthermore, this coincides with the earlier platinum anomalies present within the Greenland Ice Sheet, which date from the same period. The authors of the study draw the conclusion that no evidence seems to contradict the previous discovery of platinum enrichment in the Greenland ice sheet, or that it “most likely resulted from an extraterrestrial source.” Additionally, no evidence contradicting the broader theory of a Younger Dryas impact event was found. “Our evidence indicates the (platinum) anomaly is a useful time marker horizon,” the study concludes, noting that future age-depth models will be able to use this marker to better, and more accurately, study such things as climate changes that occurred around the time of the Younger Dryas, and how this affected life for megafaunal species, as well as the Paleo-Indian Clovis culture. With time, archaeological and geological discoveries that build upon information such as this may help resolve, once and for all, the fate of the enigmatic Clovis culture, and how their disappearance relates to climatic changes that were occurring in the ancient world.